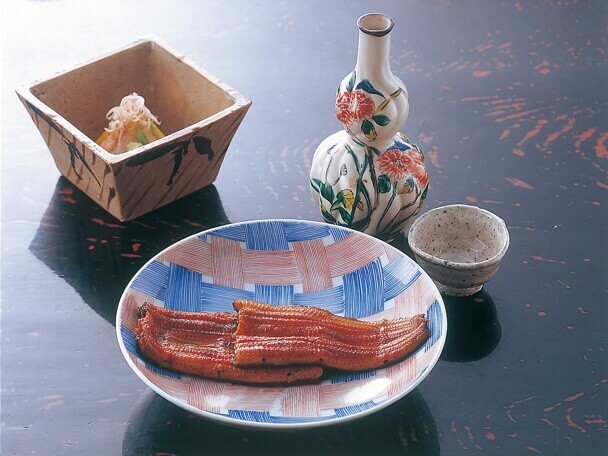 A favorite among both writers and artists is the Edo-style eel served at Chikuyotei, a classic eel restaurant which first opened at the end of the Edo era. Top quality eels are sliced open from the back and broiled once, steamed, and dipped into a secret sauce before a final broiling. 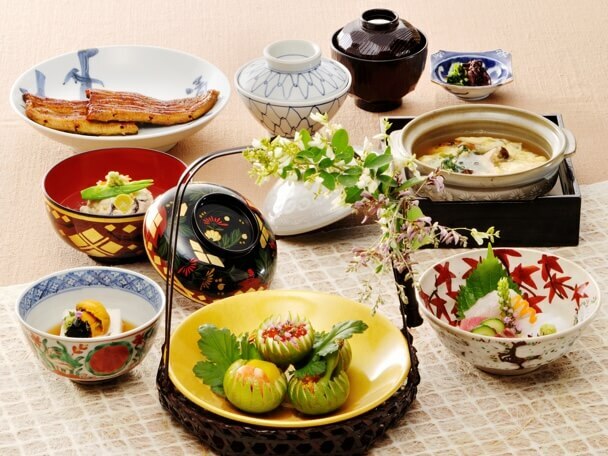 This “Edo-style” eels specialty of Chikuyotei, as are other Japanese dishes like fresh sea bream and rice served green tea. 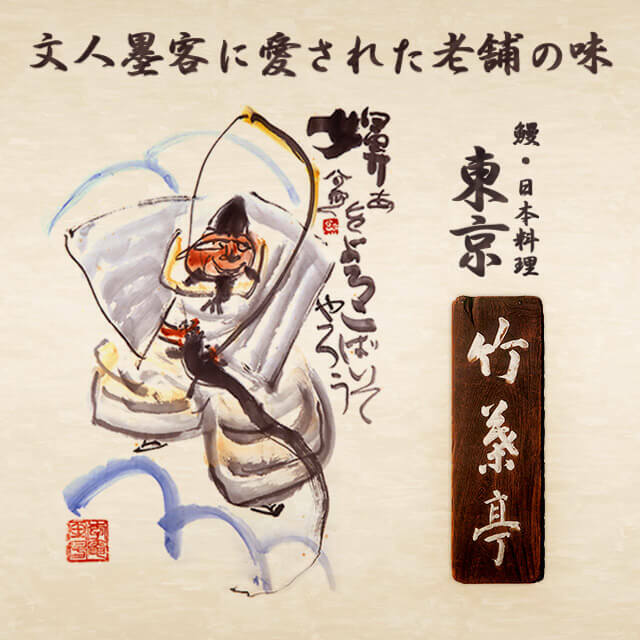 © Tokyo Chikuyotei. All rights reserved.